Potentially massive new technologies like self-driving cars and, more recently, cryptocurrency, have been making headlines for years without (yet) entering into the daily lives of the average Joe. As incidents like the DotCom bubble remind us, getting too excited about the immediate benefits of even a truly game-changing innovation can result in a speculation-heavy market that ultimately buckles. But wait a decade, and we just might be flying to work in our crypto-paid Lyfts. One new innovation that is even more sure to be a part of our lives by 2028? Lab-grown meat. Here’s a quick look at how surprisingly close this food tech is to happening, who’s working on it, and why it’s so great. First, let’s get the downer news out of the way: Synthetic foods like lab-grown meat have been buzzy ideas for a while, yet they haven’t materialized on the scale that they need to. That’s going to change soon. Food tech has been evolving as an industry for a while. Some protein powders like Soylent attempt to erase the need for meat entirely, while plant-based solutions attempt to skip the “animal” part of the food chain between grass and your plate. But lab-grown meat is the only product that results in real meat, created in a more sustainable way than the cow-based kind. Lab-grown meat, also called “in vitro” or “clean” meat, starts with an animal’s extracted stem cells. These cells are then multiplied into muscle fibers until they form a entire piece of meat — the process takes about 20,000 fibers per burger patty, if you were wondering. Once grown, the meat is minced, mixed with fat, and dyed. How does it compare to the grass-fed version? 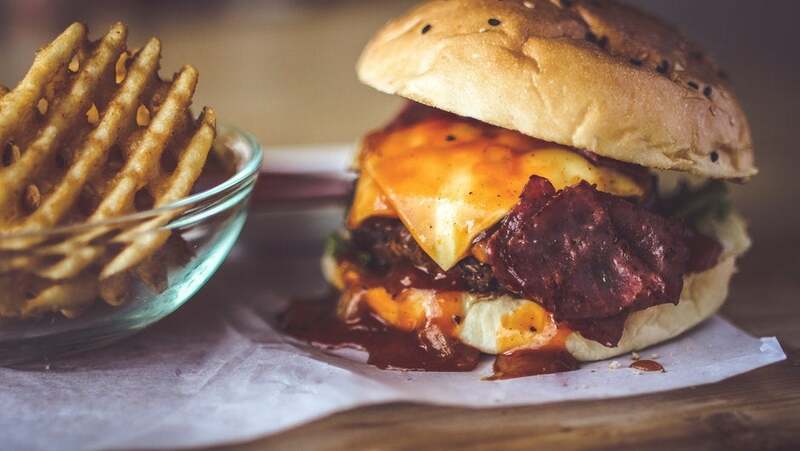 Netherlands’ MosaMeat ran a burger taste test on August 2013 and was followed in 2016 by a meatball tasting from the American lab-grown meat startup Memphis Meats. Both were successes: Tasters reported that they were nearly or as good as the original. What’s driving the rise of lab-grown meat? One big reason is the energy saved. According to the UN, Global industrial meat agriculture creates more greenhouse gas emissions than all transportation combined. That’s a lot. One ballpark figure for the resources needed to raise cattle is 25 calories per 1 calorie of energy from the meat that results. If a startup can cut that number in half, they’ll have a massive leg up in an multi-billion-dollar international industry. Memphis Meats is one of the buzziest startups in the lab-grown meat sector: The 2015-founded company raised a $17 million series A in August 2017, in a round led by famed philanthropreneurs including Richard Branson, Suzy and Jack Welch, and the aforementioned Bill Gates himself. It’s currently developing lab-grown pork, beef and chicken and even duck. Just, Inc, a San Francisco food technology startup with a total of $310M in capital. Finally, Brooklyn’s Finless Foods is taking on lab-grown seafood. Clean meat has a few competitors worth mentioning: Impossible Foods is one of the larger startups in the foodtech industry, having pulled in $273.5M in venture capital since its 2011 launch. While a competitor to lab-grown meat, Impossible Food’s Impossible Burger is actually entire vegetable-based rather than grown from stem cells. Beyond Meat is the other big plant-based meat startup, with $72M in funding. The first challenge startups are working to overcome is the cost. They’ve made strides, however: According to a little number-crunching at Qwartz, the price tag for clean meat has fallen by 99 percent over four years. In 2013, Mosameat’s burger cost them $330,000 to produce. Today, it’s $11 a burger. That’s not a bad drop, and if they’re any sort of industry bellwether, this speedbump might be in the rearview mirror. Another challenge is the squick factor: People tend not to enjoy the idea of meat grown in a lab, and clean meats might need to run a few vigorous marketing campaigns to convince them otherwise. Moral objections to the stem cells used — extracted from fetal cow blood — are also a concern, as well as regulatory restrictions that might keep clean meat from hitting grocery store shelves for a few more years. Lab-grown meats beat the old-fashioned kind in two areas: They’re better for your body and they’re better for the environment. Clean meats are grown in a sterile environment, meaning that you’ll avoid bacteria found in traditional meats. The environmental benefits might outweigh your personal benefit, though: As the UN’s Food and Agriculture Organization notes, animals raised for food make up 14.5 percent of total carbon emissions across the globe. According to one study, replacing livestock with lab-grown meats will cut down on the land needed by 99 percent, and the water needed by 90 percent. Granted, those savings are off-set by the energy needed to power the lab itself, but it’s still a net benefit. By shifting to lab-grown, you’ll save resources that will be increasingly in demand as the world’s population continues ticking upwards — by some estimates, demand for meat and seafood will double by 2050, reaching 1.2 trillion pounds. Throughout history, humankind has gotten progressively better at using fewer resources to produce more food. Lab-grown meats might be the cellular agriculture we need to take the next step forward.